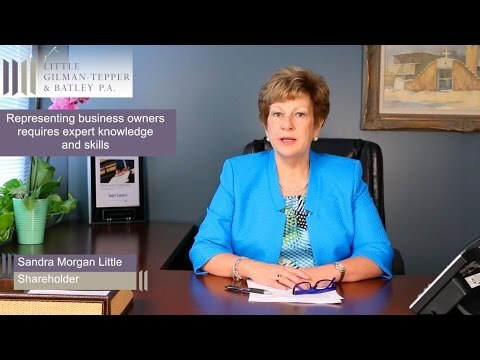 Sandra Morgan Little • Little, Gilman-Tepper & Batley, P.A. New Mexico native and Firm co-founder, Sandra Morgan Little has focused her practice on representing high net worth individuals, business owners, CEO’s and the spouses of those people. Sandra has been involved in some of the largest family cases in New Mexico. She has tried hundreds of cases in various courts across New Mexico and 9 of her cases have been reported by the New Mexico Supreme Court. Because Sandra recognizes that privacy and certainty for high net worth individuals and business owners is optimal, she strives to represent clients in forums which facilitate those aspects. Sandra involves accountants, business lawyers and other financial experts in cases to provide avenues for protecting and maintaining wealth and businesses. Sandra served as Chair of the American Bar Association Family Law Section, the world’s largest Family Law Organization, and is a Diplomate of the American College of Family Trial Attorneys which recognize the top 100 Family Law litigators in the country. She has been listed in Best Lawyers of America for over 25 years and in 2010 received Best Lawyers Family Lawyer of the Year, the first time the award was given. She has been selected as a Southwest Super Lawyer since its inception and in 2013 was selected as one of the Top 25 Lawyers in New Mexico. She has been a Fellow of the prestigious American Academy of Matrimonial Lawyers for 30 years. A prolific writer and speaker, Sandra has lectured to thousands of attorneys across the country on various family law topics primarily focused on business valuation in divorce, representing high net worth individuals, retirement in divorce and using experts in settlement and trial. She has been quoted as an expert on divorce in a number of publications including, The Wall Street Journal, Newsweek, Fortune, The New York Times, and even Glamour and Martha Stewart Living. While well-known on a national level, Sandra also stays involved in local and New Mexico Bar associations and Supreme Court Committees. Sandra serves as a Settlement Facilitator in family law cases and serves as a mediator in divorce cases for individuals. Throughout the long complicated process, Sandi remained sensitive to minimizing my costs. I relied on Sandra Morgan Little's expertise to support me during the collaborative divorce steps. Sandi is an excellent lawyer. One need look no further. I just want to express my appreciation to both of you for the manner in which you approached the mediation. This difficult and highly charged situation was greatly served by the involvement of two very accomplished and competent attorneys who carefully and patiently guided their clients through this emotional and painful process.